The Storyline method lets you tell a winning story for your customer. It provides you with a systematic approach to develop and position compelling key messages in your document (be it a proposal document or another important document that is supposed to get your message across). Your customer will read clear, consistent, and convincing messages that are not only convincing but also very easy to read and easy to evaluate. CSK developed the Storyline method jointly with journalists, sales professionals, and communications experts. Over the last 10 years, the method has proven to be successful in thousands of winning bid documents. 450+ pages of best practice know-how, with over 100 charts, tables and checklists for bid or proposal professionals, business development managers, B2B sales executives and grant seekers. 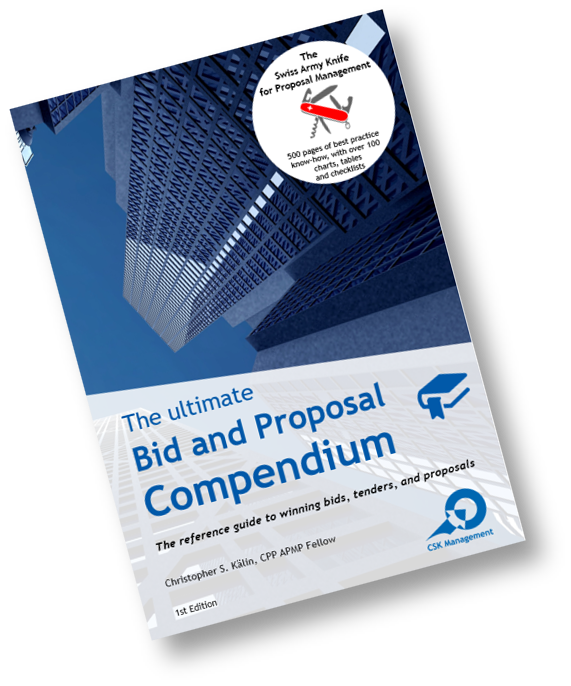 A must-have for bid and proposal professionals!